Congrats on the new little one! Sorry to hear about you bowing out for presidency. I woulda’ voted for you. Seriously. I mean, you vs. Jeb? Let’s just say that ole Jeb-eroo wouldn’t know how to respond to Wise Guy. I would pay to see that debate. New baby!?! Oh baby! Congratulations, man. 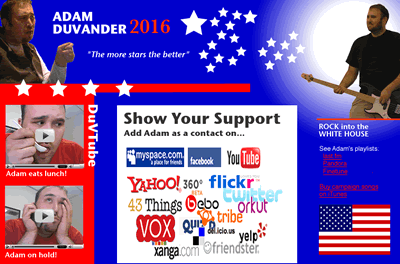 And may God have mercy on our nation’s soul without DuVander leading the way. This is wonderful, and congratulations to your family! I will be tracking on your post frequency, and running sentiment analysis on them, then generating my own charts, and stories series discussing Adam’s happiness! I was looking forward to vouching for you all the way! But I do understand that family comes first! Congrats on the coming addition to the family and on your return to the open web. 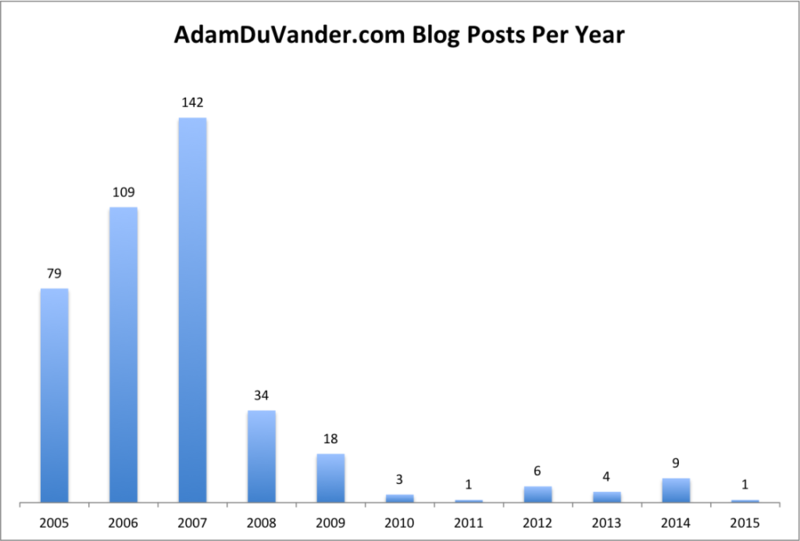 We’ll miss you as President, but enjoy your revitalized blog. Love this post! Love you! Love your family (which is also my family!)! Congratulations on #3, I look forward to meeting him/her this summer!